As of September 21, 2015, my festival season is officially over. 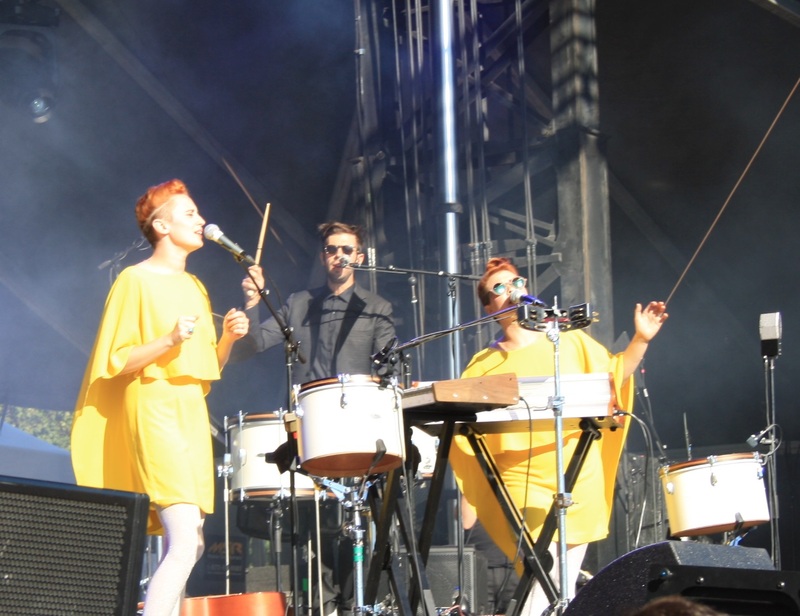 The final five days were spent at Ottawa CityFolk, a festival that delivered great music time and time again. CityFolk was full of musical highlights, leaving me wanting to go back and listen to my favourite artists at the festival as well as wanting to go explore a few new discoveries. Without further ado, I would like to recap how I experienced the festival, ending with my top 5 indie performances. 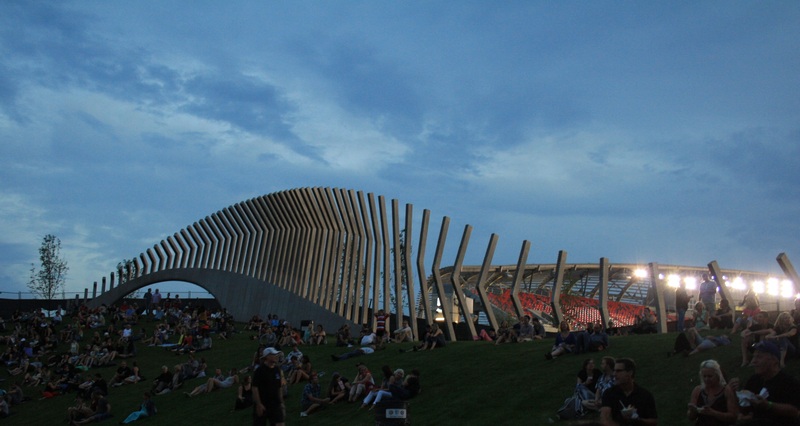 Leading up to the festival, there was a lot of talk about the rebranding of the Ottawa Folk Festival and the move from Hog’s Back Park to Lansdowne Park. With the recent development of Lansdowne Park, I was curious to see how the area would be used to host the festival. Unfortunately, I can’t say that I liked the change. Lansdowne Park did have a number of great elements in the setup of the venue. Many people were thrilled about the location in relation to the rest of the city. Lansdowne Park is right in the heart of Ottawa and relatively easy to get to no matter where you live, whereas Hog’s Back was a little more challenging. The area surrounding the Great Lawn was another plus for the festival, which was bordered by the Rideau Canal on one side, and some beautiful buildings closing in the festival. We indeed felt like we were hanging out in a beautiful park in the middle of the city. Finally, the main stage felt intimate but was still able to host a large crowd, making it a great place to see our favourite acts. Despite a few strengths of Lansdowne as a festival venue, there were a number of detractors as well. Some of these are fundamental issues with the area, some probably have more to do with growing into a new spot. The most glaring issue was in order to move between the two stages, we had to exit the concert field and line up to get into the Horticulture building, and vice versa. This discouraged us from popping back and forth between stages because of all the time wasted in line. Sound proved to be another issue at Lansdowne. 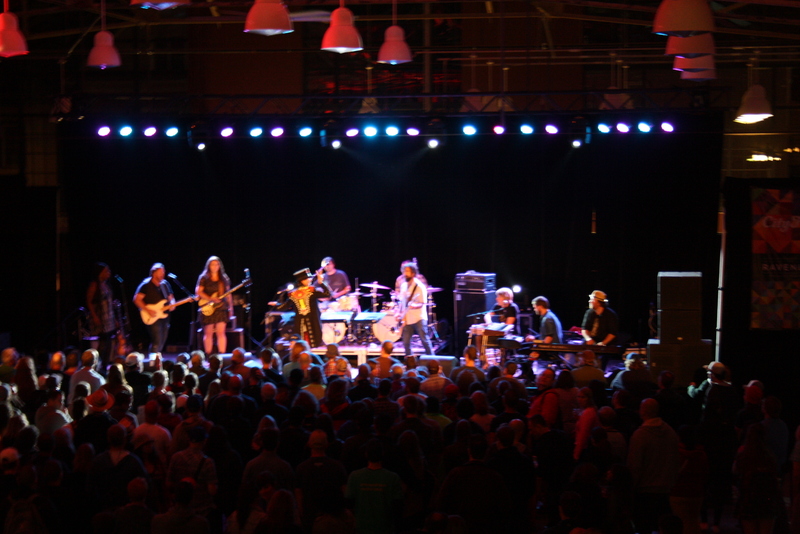 The horticulture building, where the Ravenlaw stage was set up, was simply too boomy to host some of the bands that played there. I was rather excited to see Built to Spill, but a band like that was impossible to here in that building. Although the main stage had top notch sound through most of the festival, there were some issues farther back when the wind picked up. I have never seen the wind have such a huge impact on the sound, with big gusts seeming to blow the sound away from us and back again. For a moment, all the music would be muffled and difficulty to hear, and then a moment later it would come rushing back at us. This was a rather strange phenomenon. The last issue was the layout of bathrooms and food on the festival grounds. Only a handful of food tents attempted to feed the masses, which became a real issue later in the evenings. Additionally, their location caused the food lines to completely block the path through the festival, which was needed if someone wanted to get to the bathrooms. These are easily resolved issues, and are likely just a result of trying the festival in a new location. Overall, I enjoyed seeing the festival at Lansdowne, but I have to say that I preferred the open, cozy, tucked away atmosphere of Hog’s Back Park. I must say, Ottawa CityFolk outdid themselves with this year’s lineup. It is virtually impossible to have a perfect lineup, but I am still in awe over all of the great music I heard this weekend. And now, let’s try a countdown of my favourite indie acts from the fest. You would be hard pressed to find a better set of harmonizing vocalists than the pair of Jesse Wolfe and Holly Laessig. These women have the essence drama, power, delicacy, sweetness, and fun all locked down with their voices alone. Their band knows just how to bring further life to those voices without distracting the audience. The only criticism of their show is that they play a little too close to the studio versions of their songs. Their live show feels like a more captivating version of their album. I liked The Barr Brothers before this festival, but at this point I have become a huge fan. This band not only played with absolute precision and clarity, they were not afraid to take their songs for a little ride. Psychedelic dissonance, unconventional use of instruments, and unique voices made this a show that was far from ordinary. Rest assured, I will be seeing this band every chance I get. I could not think of a better way to end Saturday and Sunday night than to watch a group of exceptional musicians with little playing history getting together and being conducted through a giant jam session by Matt Butler. Not only was the music expertly performed, it was also a simply joyful thing to watch. All of these musicians from different bands were getting together and learning about each other musically. Every one of them appeared to be having an absolute blast. The pressure was off for these musicians, and they were just up there to have fun. To top it off, Matt Butler conducts the audience to get us involved in the music making process. It was a unique experience that can never quite be recreated. This band gets me every time. The enraptured audience was transported by a set of musicians who are at the top of their game. 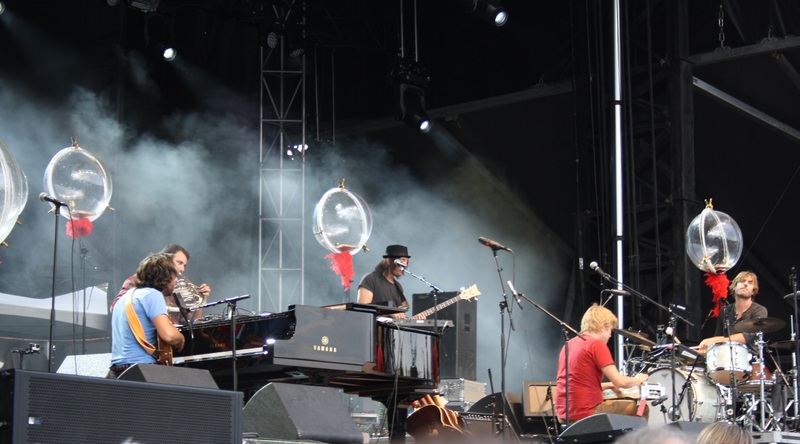 Crafty songwriting gets accented by tremendous individual musicianship when Patrick Watson hits the stage. It was almost an overwhelming show to attend in the best way possible. Wilco is the type of band that will never pander to a festival crowd, and their CityFolk show was a glowing example. They opened the show with the dissonant, eclectic, tooth-grinding notes of “EKG”, followed by the entirety of their new record, Star Wars. For non-fans of Wilco, this set may have been a little inaccessible, but for those that bought into it, the set could not be topped. After taking the crowd through the epic and complete journey that is Star Wars, they still had plenty of time to take us on a second trip through a number of fan favourites. This felt like two full shows in the space of one set. There is nothing in this world quite like a Wilco show, so go see them if you can. It is worth noting that there were zero non-indie shows that I enjoyed as much as these 5 indie acts, which just goes to show that you don’t need a major label to make great music. And that brings my coverage of Ottawa CityFolk 2015 to a close, I hope you had just as much fun as I did! If there were standout moments of the festival for you, please don’t hesitate to share them in the comments below, we’d love to hear about your experience. Thanks for all the festival coverage! I definitely agree with your top 5 though if you’re including non-indie bands I’d put Van Morrison, The Sheepdogs and The Avett Brothers ahead of Lucius (Lucius was great too though). Looks like somebody posted a video from the Everyone Orchestra on youtube so I figured this would be a good place to share it! Captures a glimpse of the magic of the evening! Awesome, a video right on time for some nifty work from Joe Grass…I’m still in awe that we got 4 sets of that guy. Thanks for sharing!